Your special furries deserve something cool to beat the heat and what better way to do it than ice creams meant only for them? Started by DarshanKaur Khalsa, who has a doggo of her own, Waggyzone serves frozen yoghurt ice creams for pets in flavours that they love. Having realised that most dogs are lactose intolerant and ingredients like sugar, preservatives and artificial flavours end up harming you loving furries, Khalsa wanted to help them cope with summers by giving them something frozen and delicious that they’d love. Also, being an ice cream maker’s daughter helped! So now, when you’re tempted to indulge in some delicious treats yourselves, you can stop feeling guilty for not sharing it with your 4-legged baby. 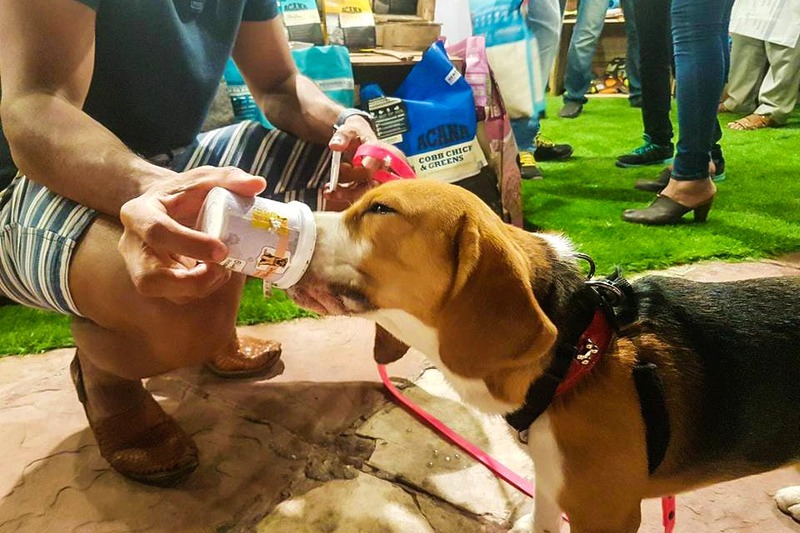 Touted as India’s first and only frozen yoghurt for dogs, with a shelf life of six months, the treat is made out of yoghurt and not milk, with pure honey as an ingredient and no sugar. They’re available in two sizes, 155 ML at INR 120 and 500 ML at INR 350, with five different flavours to pick from – honey, mango, banana, blueberry and carrot. It’s the perfect treat to beat the heat for your beloved furries. So, show them some love this summer with ice cream that is so woofing good. You can buy them online on BigBasket, MyPetShop.in and even BarkButler.in; they are also available in stores across the city.